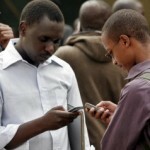 In Kenya, using one’s mobile phone is now often considered to be more of a priority than eating or paying utility bills. Two new infoDevled studies on mobile phone usage in Kenya and South Africa highlight just how valuable mobile phones have become to people living on less than $2.50 a day. The Kenya study, carried out by iHub Research and Research Solutions Africa, found that at least 20 percent of respondents felt it was necessary to make significant personal sacrifices to recharge their mobile credit. The study outlines claims that, on average, Kenyans sacrifice 72 shillings per week for their phones. In more than 80 percent of such cases, this meant phone users bought less food at least once a week. New clothes, bus fares, utility bills, and even soap were also sacrificed in favor of the mobile phone.